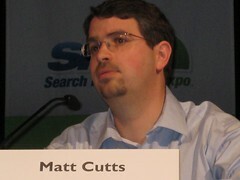 Matt Cutts doesn't only fight spam and assist the webmaster community, he is also fighting to keep government regulation out of Google's search results. Mr. Cutts Goes To Washington, Testifies Google Has Integrity by Danny Sullivan recaps Matt's latest adventure at D.C.
"The only reasons I know of to go in and change [search rankings] manually is for security, a court order or spam," Cutts said. "It is impossible to pay for a better ranking." I suspect Matt did a great job but I would have love to see this presentation and the reaction of the government officials when he was presenting.